The United States has the worst maternal mortality rate in the developed world. If we’re going to save women's lives, all providers have to step up. Here’s what you can do. Shalon Irving, a lieutenant commander in the U.S. Public Health Service Commissioned Corps, was thrilled to give birth to a baby girl, Soleil, in January 2017. She’d taken good care of herself during her pregnancy, knowing that she had a genetic disorder that could cause blood clots. In the weeks following delivery, though, she had several health problems, including high blood pressure, headaches, and bladder issues. Then, just three weeks after giving birth and on the same day as a medical visit, she suffered complications from high blood pressure and collapsed. One week later, Irving was removed from life support. She was 36 years old. Stories like Irving’s, told in the award-winning NPR series Lost Mothers, are much too common. Approximately 700 women die in the United States each year from complications related to pregnancy and childbirth, according to the Centers for Disease Control and Prevention. The United States is the only developed nation where the maternal death rate has been steadily rising, more than doubling over the past two decades. A simple comparison is revealing: the U.S. rate is 14 deaths per 100,000 births, while the United Kingdom has only 9 deaths in 100,000 births. What's more, rates of maternal mortality are two to four times higher among African-Americans than among white women, fueled in part by such factors as racism and unequal access to care. And perhaps most shocking is the fact that 60% of maternal deaths in the United States are preventable. The United States is the only developed nation where the maternal death rate has been steadily rising, more than doubling over the past two decades. In recent months, stories of women dying after seemingly uncomplicated pregnancies have been covered in the media. But what these pieces sometimes fail to note is that most pregnancy-related deaths in the United States occur in the weeks to months following a delivery — not during childbirth. The leading causes of maternal death range broadly, from hemorrhage and cardiovascular conditions to infection and drug overdose. Ultimately, then, addressing the causes demands the awareness and action of all physicians who may encounter women like Irving when they come in for a check-up or show symptoms that may not seem pregnancy-related. It is everyone’s responsibility to help ensure that these women do not die. To begin with, all providers should ask women of childbearing age if they have had a recent pregnancy. 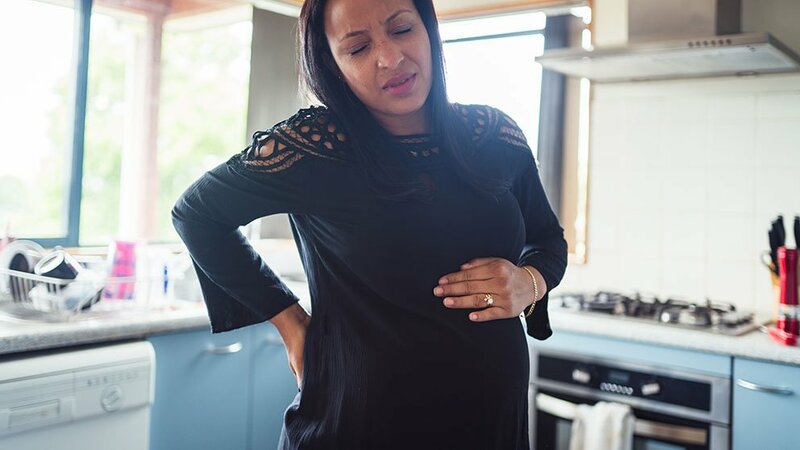 And all should know possible signs of life-threatening postpartum complications, such as chest pain, shortness of breath, severe headaches, and thoughts of self-harm. All physicians may encounter women [who] show up with symptoms that may not seem pregnancy-related — and we can help ensure that these women do not die. Providers can do more. They can implement guidelines that have proven effective in preventing postpartum death. For example, the Maternal Early Warning Trigger tool, a set of steps to quickly address four common causes of maternal morbidity, succeeded in significantly reducing deaths in a six hospital study. In addition, the Maternal Early Warning System, created by the Council on Patient Safety in Women’s Health Care, outlines clear steps that hospital practitioners should take in response to several major risk factors. The Council also has developed bundles — collections of best practices for in-patient and out-patient care — to help team members recognize and respond to maternal mortality risk factors such as severe hypertension, as well as to address peripartum racial and ethnic disparities. The Council's Alliance for Innovation on Maternal Health (AIM) partners with state health departments, hospitals, and other stakeholders to disseminate the bundles. And they show great promise: One state that implemented hemorrhage and hypertension bundles in 2015, for example, experienced a decrease in its maternal morbidity rate of more than 20%. In addition, AIM works to create other safety tools, provide peer-to-peer support, collect efficacy data, and more. Another way clinicians can help stop preventable deaths is to explore their options for working with AIM. Committed to reducing preventable maternal mortality and morbidity, the American College of Obstetricians and Gynecologists (ACOG) has also published concrete guidance. Released in May 2018, the ACOG Committee Opinion: Optimizing Postpartum Care advises clinicians to view the days and months following birth — increasingly known as the fourth trimester — as a chance to set the stage for patients’ long-term wellness. It recommends that all women have contact with an obstetric care provider within three weeks postpartum, followed by care as needed, and concluding with a comprehensive visit that fully assesses the mother’s physical, social, and psychological well-being. During the process, the mother and her obstetric provider should collaborate to determine who will serve as her primary provider for ongoing care. If you are a health care provider, you can help combat maternal mortality. Look for opportunities to do whatever you can: explore the resources described above, attend a continuing medical education event, ensure smooth care transitions by sharing medical records, and teach students, providers, and patients to recognize the signs of serious postpartum complications. Please don’t allow more years to pass with the tragic, preventable loss of so many women’s lives. Lisa M. Hollier, MD, is president of the American College of Obstetricians and Gynecologists and a professor in the department of obstetrics and gynecology at Baylor College of Medicine in Houston, Texas.